Twenty-three years after Fox's glowing puck made its debut, the NHL's next big technological advancement will be on display this weekend during All-Star festivities. NBC will showcase puck and player tracking as part of its broadcast of the skills competition Friday night and then as the centerpiece of a digital-only broadcast of the All-Star 3-on-3 tournament Saturday night. It'll be the first chance for American hockey fans to get an up-close look at the system that could be in place as soon as next season. With each player and puck fitted with a microchip, the amount of available information could be overwhelming. Look for everything from bubbles over players' heads to skating and shot speed to ice time and even a small trail behind the puck as NBC takes tracking technology in hockey for a test drive. "Eventually it'll go to possession time and more advanced (data), but right now it's mainly focused on speed, shift time, distance travelled, mph on the shot and virtually connecting players on a goal," NBC Sports producer Steve Greenberg said. "We're scratching the surface here, and what we're able to display this weekend is not what we're going to be able to display next year and in the future, but it's going to be able to be a really good first look at what these chips are going to be able to give us." 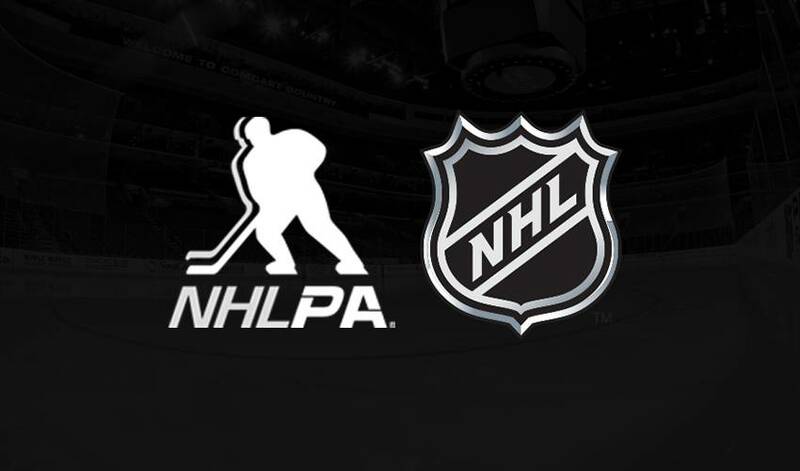 The NHL privately tested puck and player tracking in two regular-season games in Las Vegas earlier this month, but this will be the first time the data is available for public consumption. While other types of tracking technology were tested at previous All-Star games and the 2016 World Cup of Hockey, this is something of a dry run for the radio frequency system the NHL has been working with developers to perfect. Much like the glowing puck was criticized by purists, there's the danger of overloading fans with too much, too fast. NBC will experiment with how much puck and player tracking data can and should fit onto a TV broadcast. "It's a balancing act," NBC Sports executive producer Sam Flood said. "Think about years ago when the yellow line came in for the first down in football. It's now universal. There are going to be elements that'll become universal in hockey telecasts based on what we learn over the next period of time." Kenny Albert, who will call the puck and player tracking-heavy telecast available on NBC Sports' app and online, likens this to the kind of ball-tracking technology that has become ubiquitous in golf coverage. He was with Fox in the 1990s when the glowing puck was perhaps ahead of its time but thinks fans are ready for puck and player tracking on TV. "We live in an age of information overload and people want stuff like ice time and the mph on a shot for example or how fast a player's skating," Albert said. "I have two teenage daughters and I don't think anybody in that generation now just sits there and watches TV. They want information, whether it's looking at their phone, their iPad, their computer, and there's so much information out there." Eventually, once the NHL implements player and puck tracking, fans will be able to take a deep dive into all the numbers and there will be an element of real-time sports gambling. But Commissioner Gary Bettman and other league executives have pointed out that the first goal was always to make it TV-ready. "The most obvious thing that (viewers will) probably notice is just sort of the correlations tied to speed," NHL senior vice-president of business development David Lehanski said. "It's kind of the thing everybody talks about: how fast the game is, how fast the players are, how fast the puck moves." Sharks defenceman Erik Karlsson missed the final three games before the break with a lower-body injury, but there's somehow still a chance he takes part in All-Star Weekend in San Jose. Obviously, coach Peter DeBoer said, the organization would love to have Karlsson on the ice in its home arena, but not at the risk of making it worse. "If there's more damage to be done, no one in their right mind would play," DeBoer said. "So I think it's pretty simple." Karlsson returned to California for tests, and defenceman Brenden Dillon said it's a positive for the team to play it safe with the two-time Norris Trophy winner. Karlsson has fit in well with San Jose after an off-season trade from San Jose and gives the Sharks the look of a Stanley Cup contender with the deepest blue line in the league. "He's an unbelievable talent and a guy that's fit in our locker room great too," Dillon said. "It's something where collectively as a group we realized that it was going to be a little bit less whether that's in minutes or situations ... I think for everybody it's kind of been a little bit less is more and understanding the kind of common goal. So far, so good." The defending champion Washington Capitals have lost six in a row for the first time since the disastrous 2013-14 season that led to the firing of general manager George McPhee and coach Adam Oates. After players-only meetings didn't solve the problem, the latest gut punch was allowing a goal with 1 second left to cough up a two-goal, third-period lead to the Sharks on Tuesday in what turned into an overtime loss. "I think it doesn't matter how many meetings we have," captain Alex Ovechkin said after his hat trick against San Jose wasn't enough. "It's all about us and we know how to play hockey. We know when we play the right way we're going to get success." The Buffalo Sabres get an early test in the second half of the season when they visit the Columbus Blue Jackets on Tuesday in each team's first game after the All-Star break. Goals: Ovechkin, 36; Assists: Nikita Kucherov (Tampa Bay), 56; Points: Kucherov, 78; Ice time: Drew Doughty (Los Angeles), 26:41; Wins: Marc-Andre Fleury (Vegas), 27; Goals-against average: Robin Lehner (N.Y. Islanders), 2.02; Save percentage: Lehner, .931.